Classic Rock Here And Now: Exclusive Interview: Roger McGuinn Says "David Crosby Can Reunite The Byrds Without Me"
Exclusive Interview: Roger McGuinn Says "David Crosby Can Reunite The Byrds Without Me"
Orlando, Florida resident Roger McGuinn will be making a rare concert appearance on Saturday, March 17th at the Capitol Theatre in Clearwater. Roger (a.k.a. 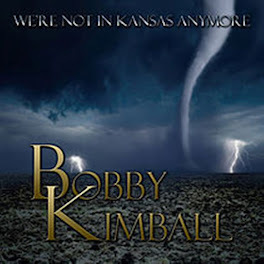 Jim McGuinn) began his music career as a folk artist, touring with the Limeliters, Chad Mitchell Trio, and legendary crooner Bobby Darin as a guitarist and banjo player. After listening to The Beatles, McGuinn altered his folk styles to include a rock and roll beat while performing at coffee houses in Greenwich Village, New York. His efforts to merge traditional folk music with rock and roll were not well received, so Roger moved to Los Angeles and began work at the infamous Troubadour. It was after Roger’s opening set for country music legend Hoyt Axton that he and Gene Clark first met. Soon after, David Crosby joined them completing one of the most influential bands of the 60’s. 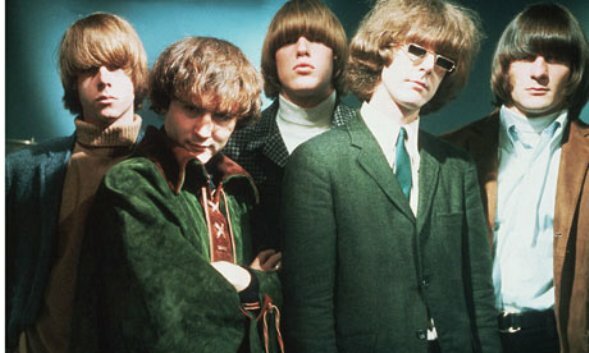 The Byrds would soon become Roger McGuinn (lead guitars and vocals), Gene Clark (tambourine, vocals), David Crosby (rhythm guitars and vocals), Chris Hillman (bass guitar and vocals) and Michael Clarke (drums). 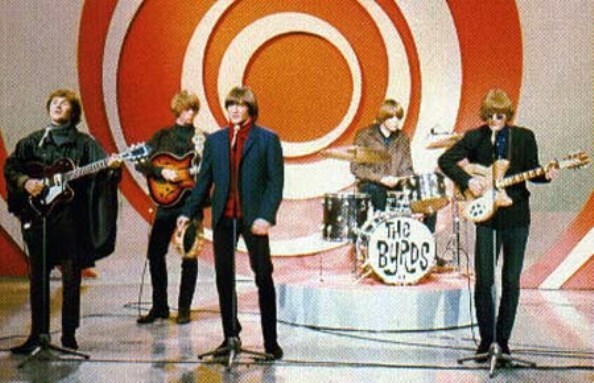 Columbia Records signed The Byrds in 1965 and they recorded their first number one hit, a Bob Dylan penned song, “Mr. Tambourine Man.” The Byrds continued to score big commercially with their 1965 classic that was adapted from the book of Ecclesiastes in the Bible, “Turn! Turn! Turn!” “I’ll Feel a Whole Lot Better,” was another huge hit for the group in 1965 featuring McGuinn’s trademark jangling 12-string Rickenbacker. 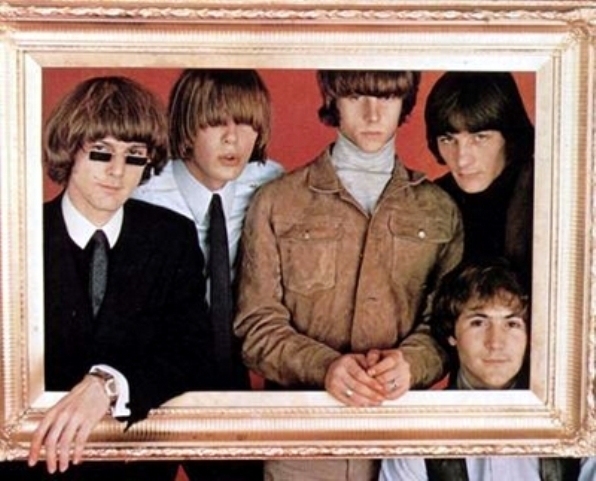 “Eight Miles High” was The Byrds 1966 Top 20 Psychedelic classic and “Mr. 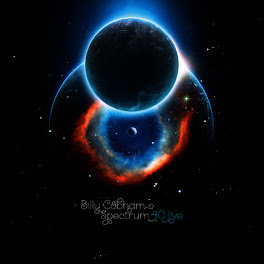 Spaceman” reached #36 on Billboard’s Top 100, both were featured on their Fifth Dimension album.” Dylan’s penned, “My Back Pages” released in 1967 #30 and “So You Want To Be A Rock ‘N’ Roll Star,” also released in 1967 was a #29 Billboard Top 100 hit. Gene Clark left the band in 1966. David Crosby and Michael Clarke departed in late 1967. In 1968, Gram Parsons was hired and The Byrds recorded their critically acclaimed release, “Sweetheart of the Rodeo.” Later in 1968, Hillman and Parsons left. In 1969, The Byrds recorded, “Ballad of Easy Rider” for a film starring Peter Fonda and Dennis Hopper. McGuinn also co-wrote, “Chestnut Mare” with Jacques Levy in 1969, a song intended to be featured in a musical inspired by Henrik Ibsen’s Peer Gynt. McGuinn led several Byrds lineups until 1973 when the original quintet reunited and then disbanded after the release of their 12th and final album Byrds. 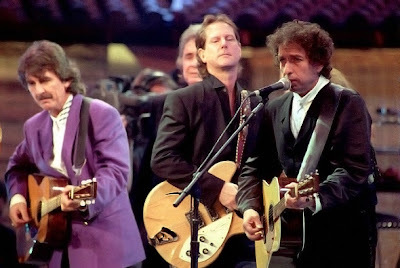 Roger McGuinn rejoined Gene Clark and Chris Hillman in 1978 and recorded three successful albums for Capitol Records. In 1981, McGuinn returned to his folk roots and began to tour acoustically as a solo artist. McGuinn, Crosby and Hillman performed as The Byrds in 1989 and 1990 and recorded four new songs for their box set released in 1991.The Byrds were also inducted into the Rock and Roll Hall of Fame in 1991. 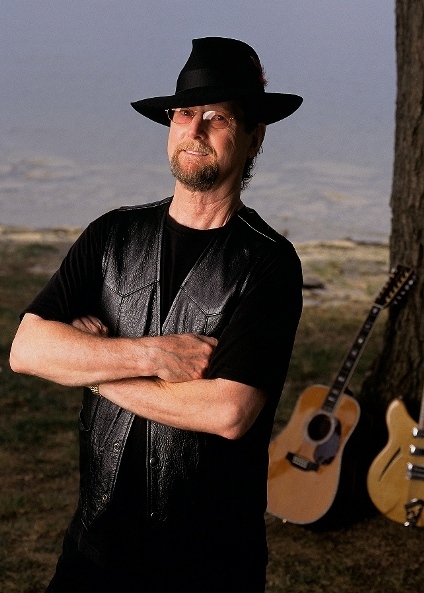 In 1995, Roger McGuinn began recording and uploading a series of traditional folk songs to his website. 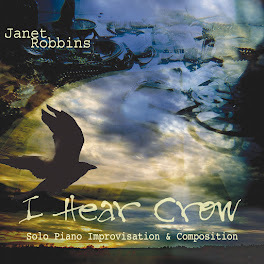 It’s an ongoing project to create awareness of folk music. 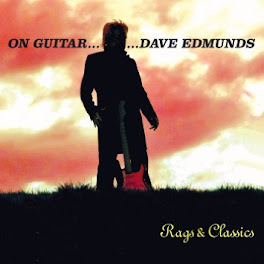 The songs are available for free download at Folk Den- http://folkden.com on Roger McGuinn’s official website. Roger McGuinn’s latest release is an incredible 23- song collection devoted to the sea called, CCD. 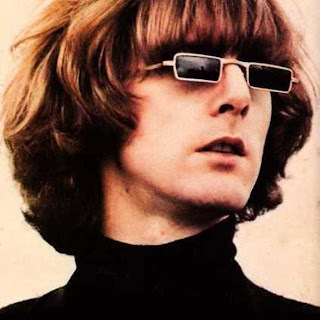 Last week I had the rare opportunity to chat with /The Byrds founder and leader/singer/songwriter/guitar virtuoso/ folk-rock pioneer/ folk artist extraordinaire/Roger McGuinn. Ray Shasho: Good morning Roger, thank you for being on the call today. How long have you lived in the Orlando area? Ray Shasho: Are you a Disney enthusiast? Ray Shasho: The Tampa Bay area is excited that you’ll be performing on March 17th at the Capitol Theatre in Clearwater. 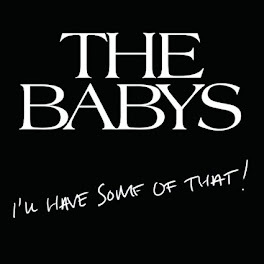 Ray Shasho: I peeked around the internet looking for some of your most recent setlists. I really admired the setlist from your concert in Buenos Aires, Argentina. Is the Clearwater concert going to be similar to that show? Ray Shasho: What I saw will certainly captivate the audience, plenty of great Roger McGuinn/Byrds classics and a nice long setlist. Ray Shasho: I’ve watched you and you really do work hard on stage. Just watching you play, “Eight Miles High” acoustically was intense. That’s got to be difficult to do. Ray Shasho: Your son Patrick is a filmmaker, how’s he doing? Ray Shasho: Being from the Tampa Bay area I really love songs about the sea. Your latest album called, CCD has 23 songs about the sea. Talk a little bit about that album. 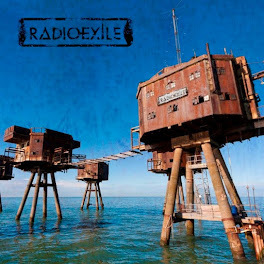 Ray Shasho: I remember another great sea song from the Cardiff Rose album called, “Jolly Roger” and that was a really cool tune. Ray Shasho: You once commented in an interview about The Byrds, “We were a ship of pirates; it was every man for himself.” You must have a genuine love for the sea. Ray Shasho: The Folk Den was created by you to raise awareness of folk music. Was that the primary reasoning behind it? Ray Shasho: We use to sing the old traditional folk songs in grade school; it was part of growing up. 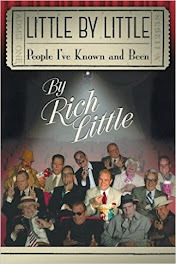 Ray Shasho: I remember growing up watching Burl Ives and then later the Smothers Brothers, who I thought sort of reintroduced folk music on television. Ray Shasho: We’re missing so much of the traditional music that we grew up with, especially the storytellers. Ray Shasho: Yes you do, you’re the last of the Mohicans. Ray Shasho: Pete Seeger is truly amazing; he’s a walking museum of history. Ray Shasho: Who are some of your favorite artists in the folk world? Ray Shasho: Dance, hip hop, and variations of country music seem to be the nucleus of today’s music scene. Where did rock and roll disappear to? Ray Shasho: Would you say record companies basically killed themselves when music started being distributed around the internet? 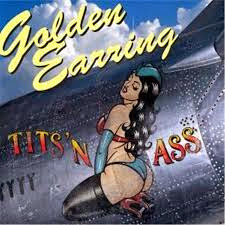 Ray Shasho: Do you think they’re making as much money today on iTunes as record companies did selling records or CD’s? 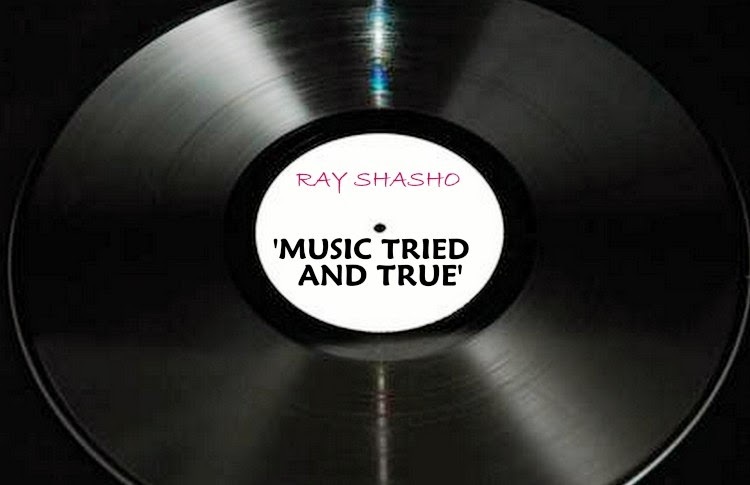 Ray Shasho: I talked with a lot of artists who had multiple hits in the 60’s, and they all confirmed that they were under constant pressures by record companies, demanding artists to record their next hit single or album. 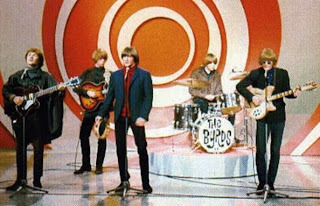 Ray Shasho: The Beatles were huge Byrds fans? Ray Shasho: You and George Harrison were good friends? Ray Shasho: The Traveling Wilburys were a great band. Tom Petty is back on tour, any chance of you and Tom singing, “King of the Hill” together at his Orlando show? Ray Shasho: What is the origin of playing a 7-string guitar? 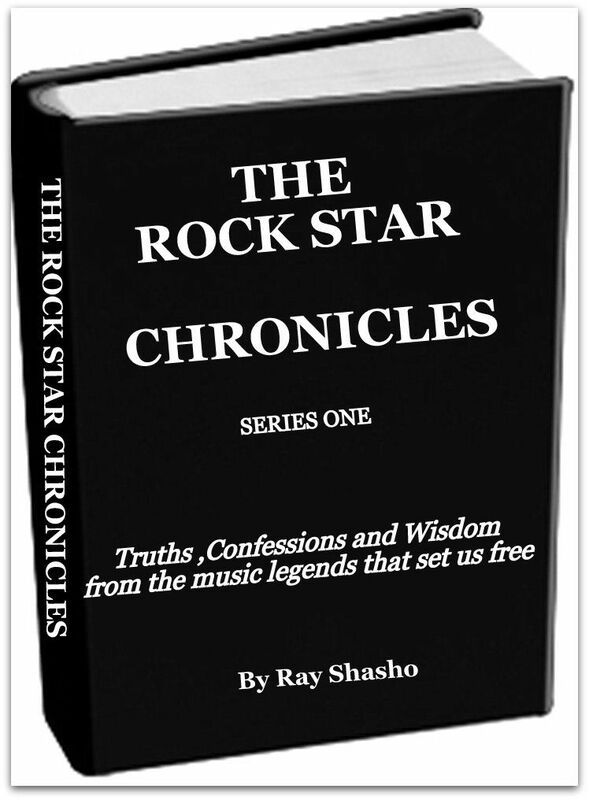 Ray Shasho: It was almost unheard of for a rock and roll musician to talk about their faith at one time. But now, I find more rock stars turning to God as they get older. Ray Shasho: The artists that have embraced God seem to have a wonderful outlook on life, and are in great physical condition because they take really good care of themselves, and look like they’ll live to 100 years old. Ray Shasho: What do remember the most about the 60’s? Ray Shasho: Before The Byrds, you worked with Bobby Darin. I remember the critics saying at the time that he was going to be the next Frank Sinatra. Ray Shasho: Stephen Stills, Neil Young, and Ritchie Furay announced in 2011 that they were going to do a reunion tour. They’ve done some dates already but have yet to tour on a full scale level. David Crosby mentioned that he would have liked to see a double billing including a Byrds reunion but thought that you probably wouldn’t do it. Ray Shasho: Do you still chat with David Crosby? Ray Shasho: Hopefully he won’t try to reunite The Byrds without you because that happens a lot nowadays. Ray Shasho: Would you be upset if David Crosby reunited The Byrds without you? Ray Shasho: I always ask everyone that I interview if they have a good/funny story about when they were on the road. Ray Shasho: Roger, thank you for spending time with me today, but especially for all the great music that you gave to all of us through the years. 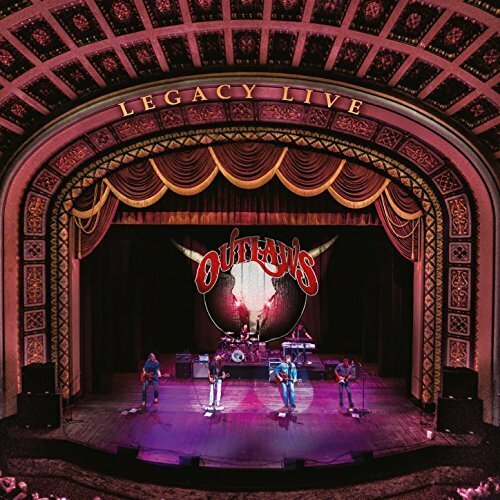 We look forward to your show at the Capitol Theatre in Clearwater on March 17th. A very special thank you goes out to Camilla McGuinn for arranging this interview. Order… CCD -23 songs of the sea (Roger McGuinn’s latest release) at www.ibiblio.org/jimmy/mcguinn, Cdbaby.com or amazon.com. Roger McGuinn performs live at the Capitol Theatre in Clearwater on Saturday, March 17th at 7:30p.m. 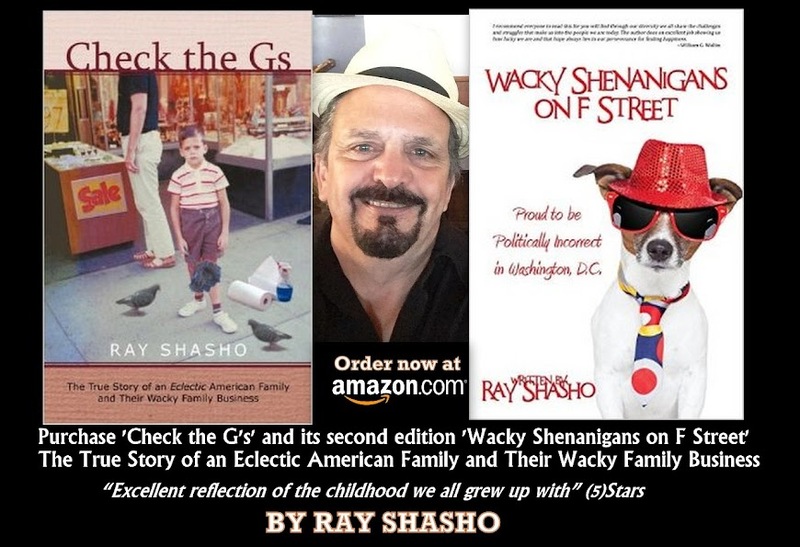 Order Ray’s new book called Check the Gs –The True Story of an Eclectic American Family and Their Wacky Family Business at amazon.com or iuniverse.com.